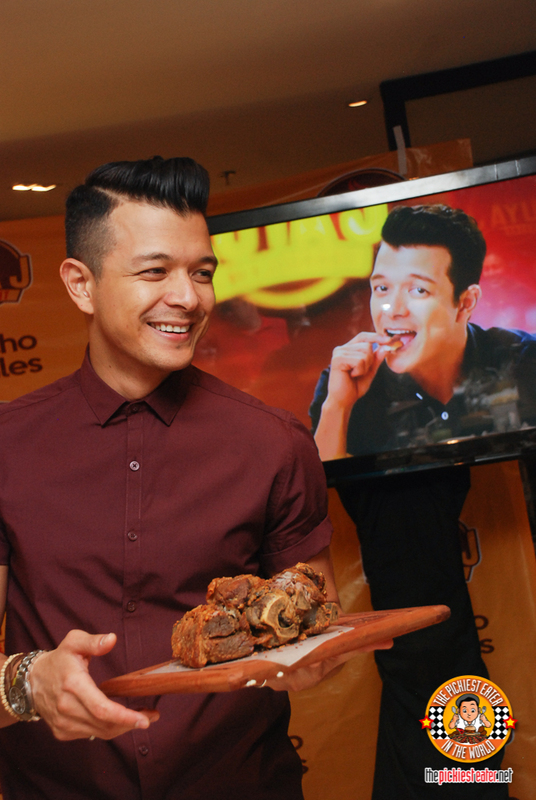 THE PICKIEST EATER IN THE WORLD: CEBU'S FAMOUS KUYA J'S, NOW IN MEGAMALL! Kuya J is a casual dining Filipino restaurant that looks extra special. 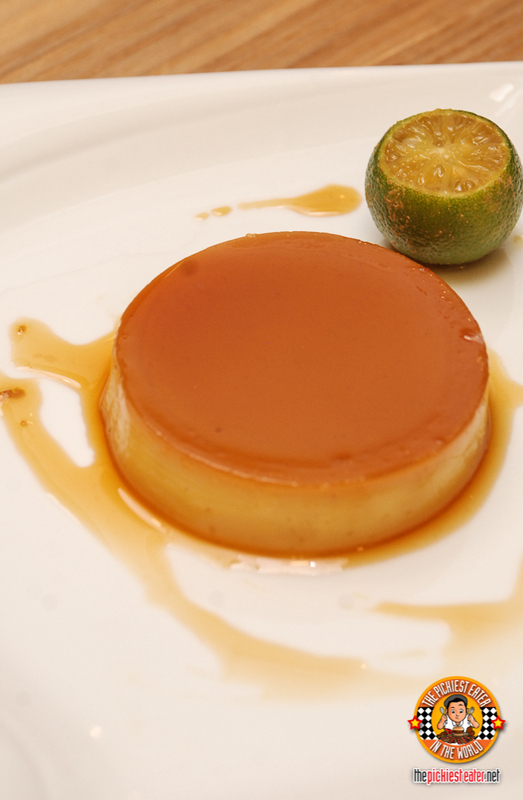 Not just based on the plating but of course based on the quality of taste as well. 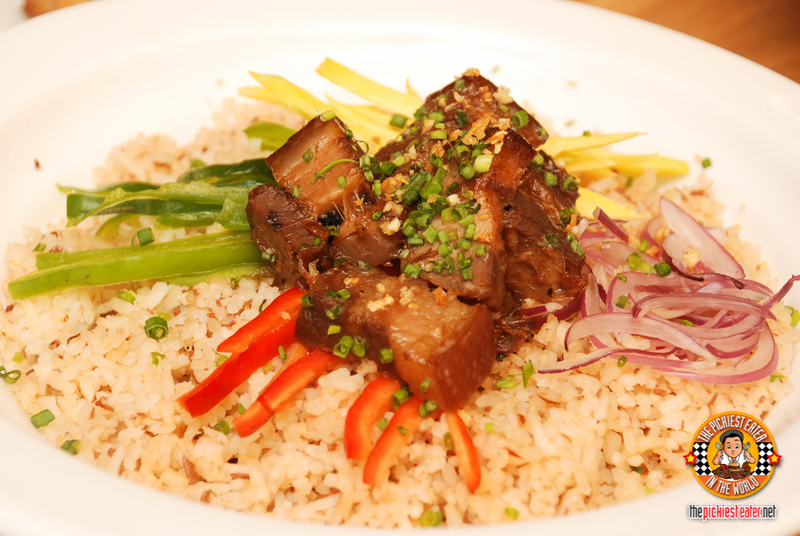 All-time favorite Filipino dishes, casually yet beautifully plated to be devoured in seconds. I for one really enjoyed it! 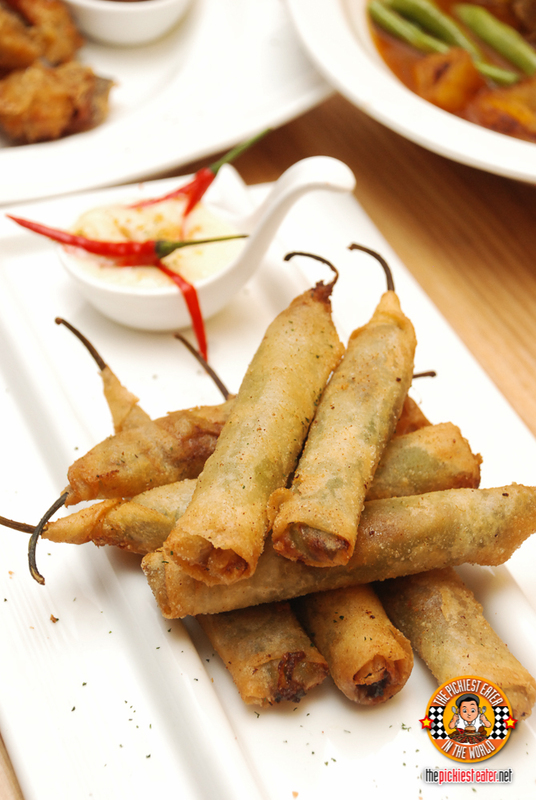 For appetizers, their best-seller is the Lumpia Presko. 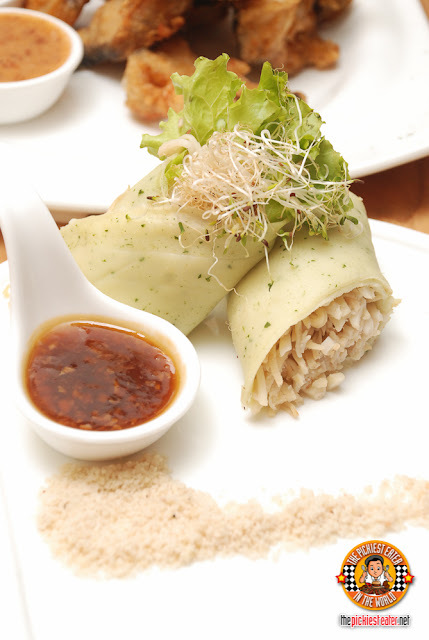 Just based by its looks, it looks different that other fresh lumpia’s I’ve seen. The wrap is light green, but because it is infused in malunggay. And inside, a medley of sauteed crabmeat and bamboo shoots. Dip it in its sweet garlic sauce and it gives a nice mix of fresh, sweet, and savory flavor in your mouth. I was glad that the Chorizo Dinamitas wasn’t that spicy. It was something I could tolerate (or my picky tummy could tolerate at least). The chorizo inside was really tasty. And the white sauce really complemented the dinamitas, making this my favorite appetizer. Rina’s favorite on the other hand is another Kuya J specialty. The Grilled Scallops. 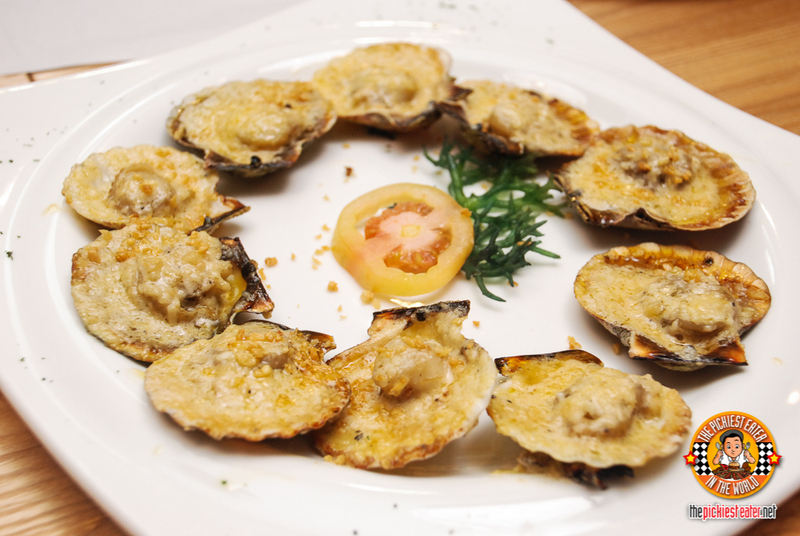 The terms seafood, cheese, and baked, is one of her weaknesses in restaurants. But of course, she insisted on waiting for the rice to eat it with. 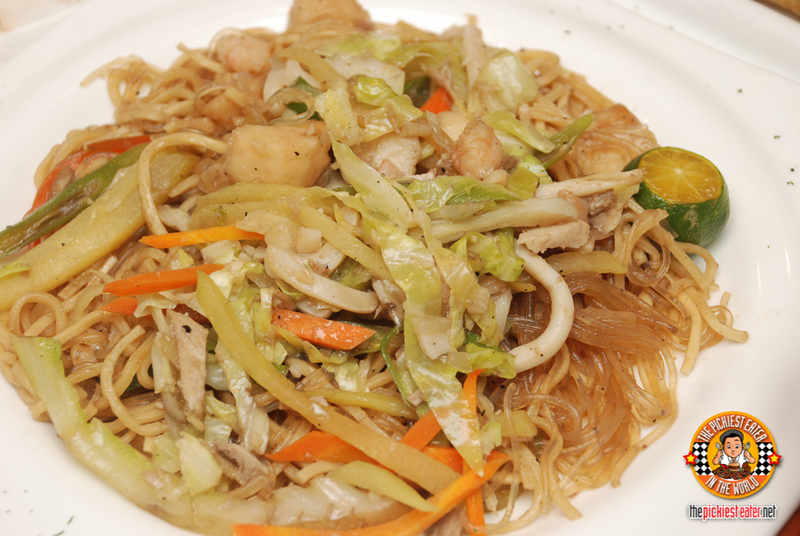 Kuya J’s also has a classic Pancit Canton loaded with pork, shrimp, squid, squid balls, and vegetables. A perfect comfort food for everyone. 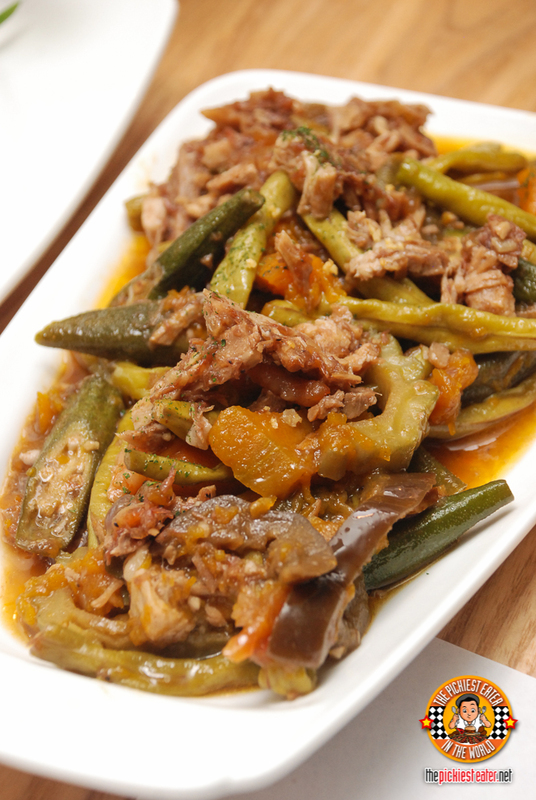 Everyone enjoyed another Kuya J specialty which is the Kare-Kare. 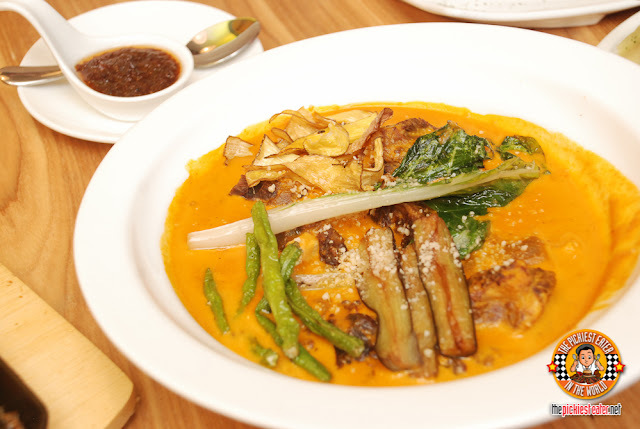 This is Kuya J’s original special Kare-Kare sauce. Being a Filipino restaurant, it would not be complete without Sizzling Sisig with Egg, Chunks of pork belly served hot, topped with egg! Best for the whole barkada. The Crispy Catfish is a dish I would definitely go back for. 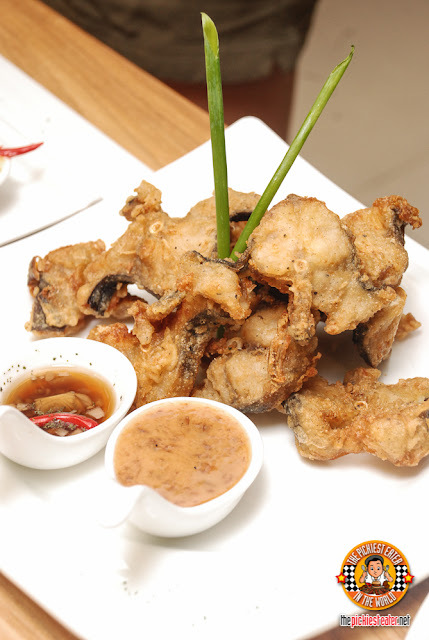 The catfish is coated in batter and then deep-fried, and then seasoned with spices. The fish stays tender and moist on the inside! The unique point of this dish is something I didn’t think I would love. The bagoong mayo! It’s really delicious! My mouth is watering right now as I type. It is also served with chilli tuba sauce which I didn’t get to try because I don’t really like vinegar and because the bagoong mayo was so good that I didn’t even bother trying the other one. Kuya J has some interesting choices for their flavored rice. Check out this Danggit Rice. 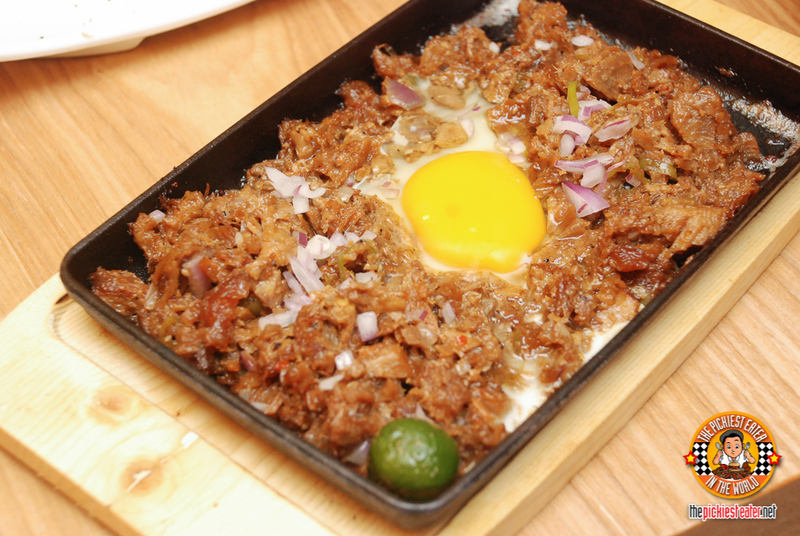 It’s sinangag mixed with danggit bits, oil, chives, and topped with fried danggit. A meal on its own! 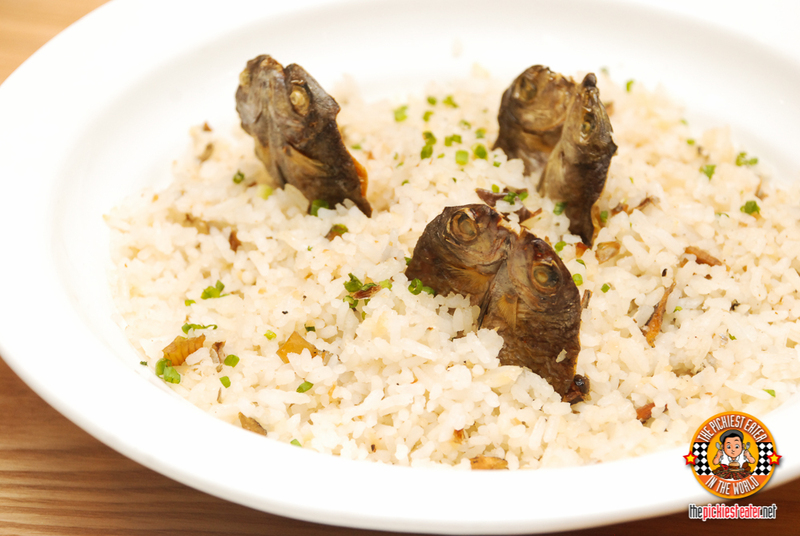 Another one of their specialties is this Humbinagoongan Rice Platter. One look at it and I imediately knew I was going to like it. I just had to remove the mango because of my picky tummy. It’s sinangag with bagoong alamang, and then beautifully topped with tender pork, some mangoes, red onions, and bell peppers. 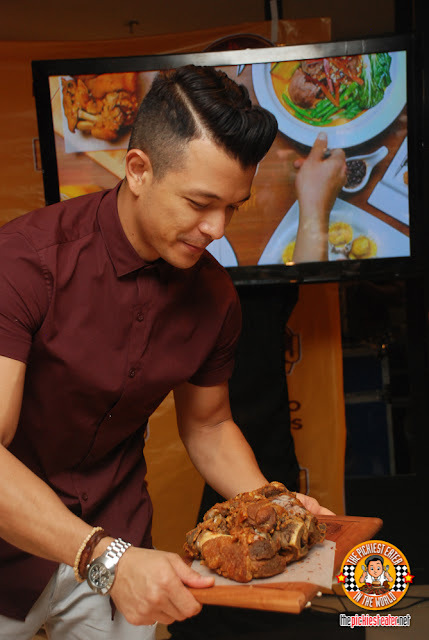 And last but definitely not the least, was Kuya J Crispy Pata! 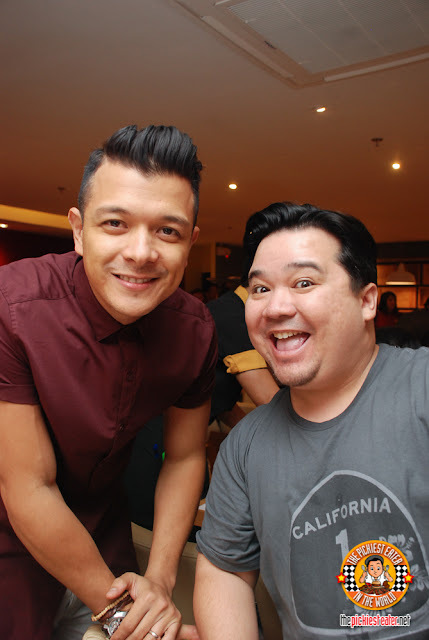 Served by non-other than Kuya Jericho himself. Kuya J Crispy Pata , I must say, is one of the best I’ve tasted. The skin is gorgeously crispy, the meat beautifully tender and juicy. 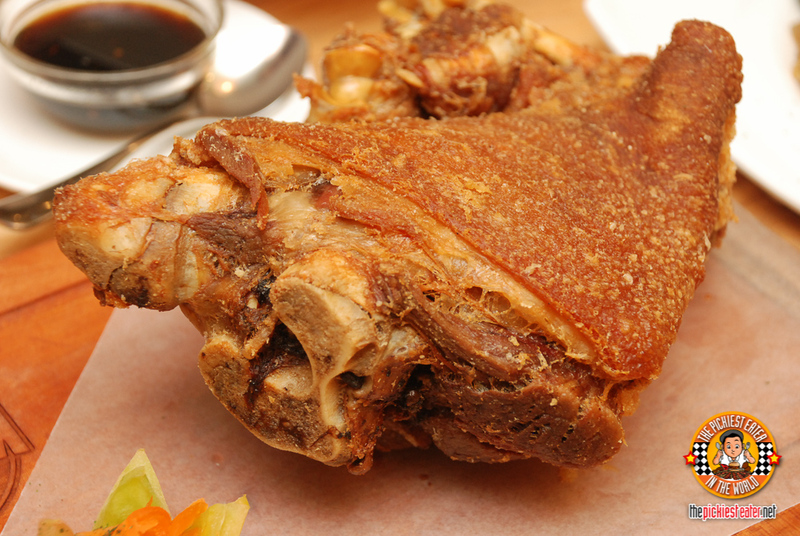 Then dip it in the special sauce and you’re in crispy pata heaven! Extra rice please! After all the delicious dishes, ( and take note that they have more items on their menu! ), you’ll need to have dessert. 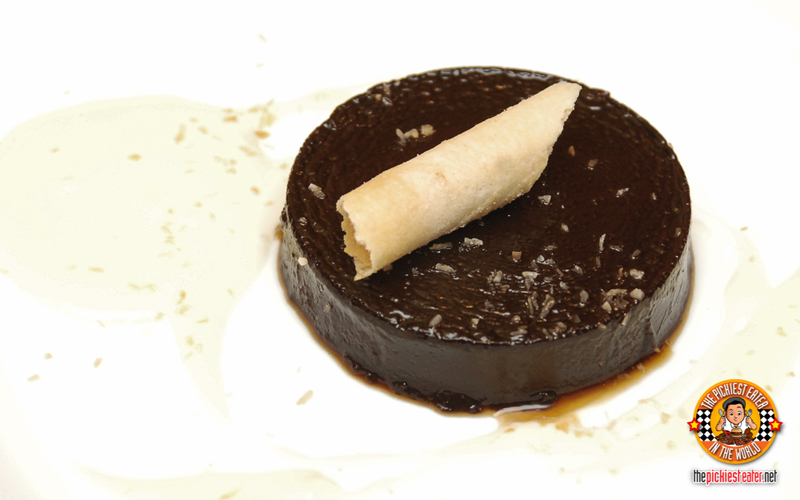 Kuya J served this Tablea Coffee Flan. The Cebuano Mangga Cheesecake is also a pretty sight with a rustic presentation. 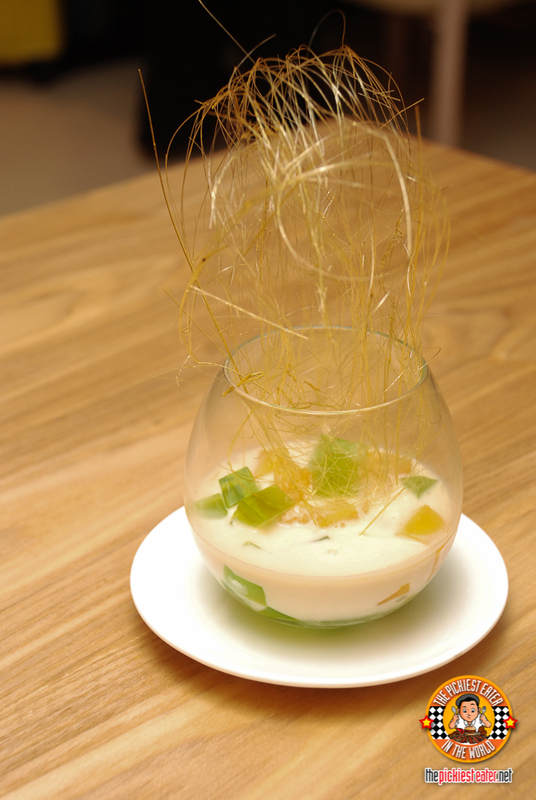 And for dessert, is a very special Mango Pandan. 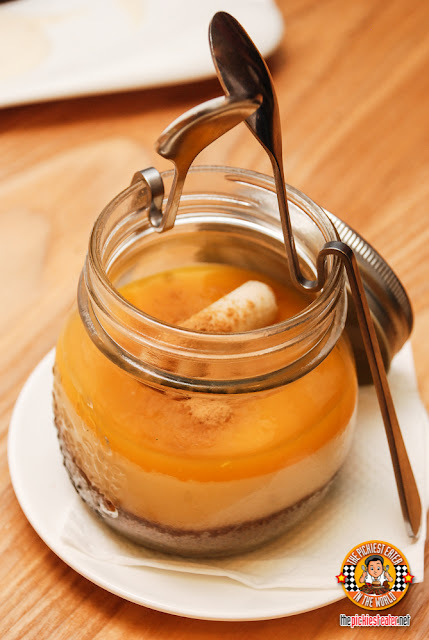 A really simple classic desert with a beautiful presentation! 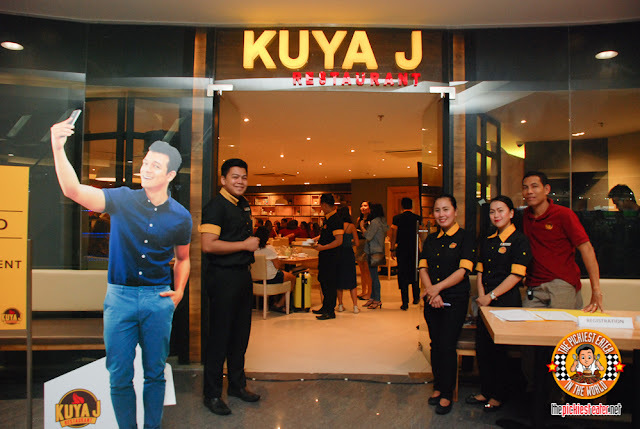 Kuya J Megamall branch is actually just the start. There will be 50 more branches set to open before the year 2015 ends. 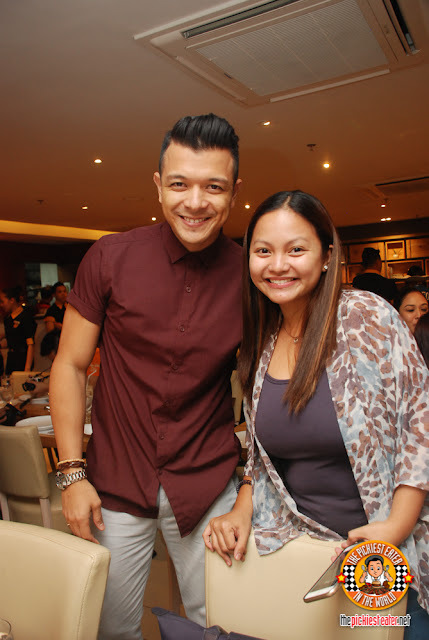 The Kuya J Megamall branch launch as hosted by Sam Oh. 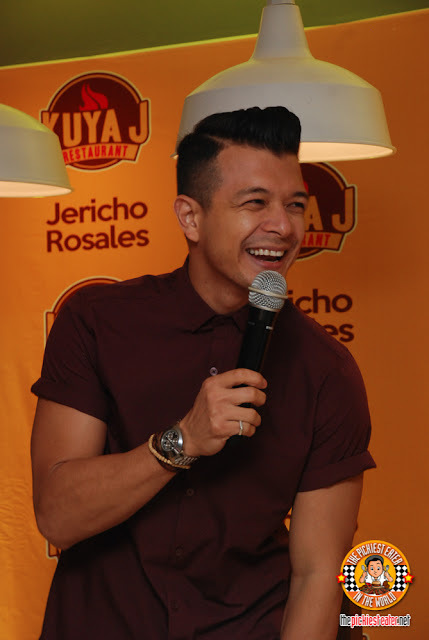 Jericho Santos, the face of Kuya J Restaurant!